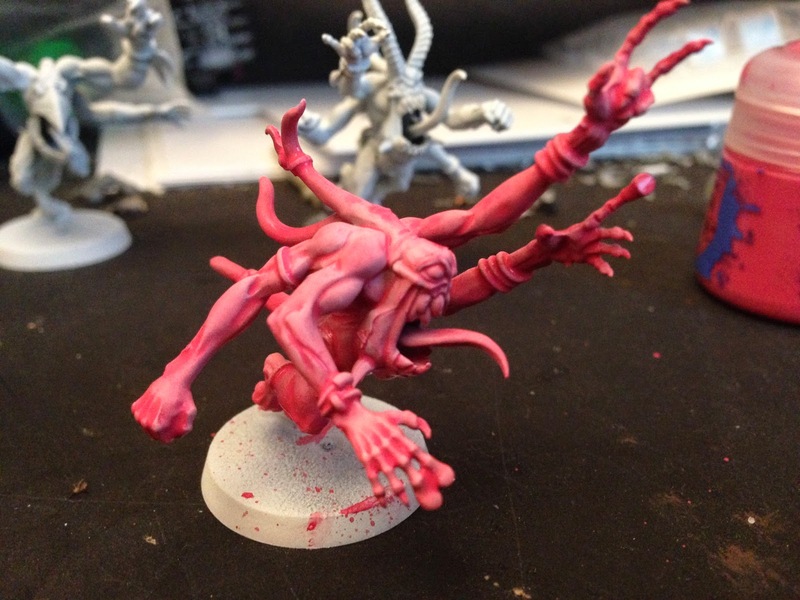 This is the 30 second paint job test run on the Pink Horrors. I mixed together 3 drops of GW's Pink Horror color (shocking, I know) with 5 drops of water, mixed it together and applied it like a wash. It pools in the cracks and is ridiculously easy to paint. Now I just need to go back, do the detail work and the base. For the base I intend to use one of GW's newish texture compounds with the corresponding drybrush color.